If You Went into Premature Labour in China, Would You Know What to Do? | WWAM Bam! If You Went into Premature Labour in China, Would You Know What to Do? Going into premature labour is a very stressful situation to find yourself in. However, there are ways to increase your chance of having a positive experience. Do your homework early. I can’t emphasis this point enough. Find out the resuscitation cutoff dates in the different local hospitals. They may be different. The hospital I was in (2011) was over 28 weeks and over 1,000g. My baby was born on the morning of 28 weeks and weighed 1,000g exactly! If you go into premature labour at 25 weeks, you do not want to turn up at a hospital that will count the birth as a miscarriage. This first decision is important. If a lady has a placenta abruption while alone in the middle of Shanghai she needs to know where she wants to go. Read up on your insurance policy and what is covered. You may find that your international insurance policy won’t be able to cover a lengthy stay in an international hospital or international wing of a local hospital while you are trying to prevent a pre-term labour. If this is the case you may want to go to the international hospital first as you may be ok after a couple of days. However, if you need to be admitted for weeks or even months, it is highly unlikely those costs will be covered. For me that is a whole other story I will expand on in a different post. My advice is to have a plan B local hospital on your list. If you go into premature labour you are likely to be offered some medication to prevent pre-term labour. If you are over 20 weeks pregnant, China’s first choice of medication is ritodrine/yutopar (Chinese call it An Bao). This is a medication that was discontinued in the US over 20 years ago. It is highly dangerous and I spent several weeks on it. It is an inhumane form of medication. Trust me or look it up, you do not want to get stuck on this medication. Luckily in China there is another option and it is called Atosiban. Why wasn’t I given this instead of ritodrine? My doctor said this: “Your insurance company didn’t tell us we could use A grade drugs”. The cost of Atosiban is about 15,000RMB per day. Your hospital may not have a ready stock of this drug (mine didn’t) but they do have good access to it via a drug company within Shanghai. If you find yourself on ritodrine, please do remember that it was only meant for about 2-3 days use. In China they may put you on this medication for several weeks! What are the NICU facilities like at the different hospitals? From how many weeks will they accept a baby? My hospital resuscitated babies from 28 weeks, but could only provide NICU support to those over 32 weeks. If you find yourself in a similar situation, your baby will travel by ambulance to a different hospital immediately after birth. Depending on the situation, your hospital will try to wait for the incubator and doctor to arrive from the third party hospital before starting an emergency section. If you find yourself in the situation above then you have another choice to make. Which hospital do you want your baby transferred to? Your choice will depend largely on these factors: urgency, distance, and facilities. Once you have made that choice, it’s not easy to transfer a second time. In my situation we decided on the nearest hospital (Shanghai Children’s Hospital) instead of the hospital with the best facilities (Fudan Children’s Hospital). The traffic in China can be very unforgiving to ambulances and having been in one I know just how bumpy the ride can be. It was a difficult decision to make. Does the hospital you are giving birth in have surfactant? This can help prevent your premature baby’s lungs collapsing. The hospital I was in didn’t store surfactant so my baby had to wait until she arrived at her NICU in the third party hospital. Do you have international health insurance and will baby be in an international NICU? If your baby won’t be in a international hospital then you will need the person (your husband or friend) who travels in the ambulance with your baby to have at least ten thousand RMB to hand. They will need this to pay as the initial deposit to the children’s hospital. This figure will just cover the cost of this one important drug (surfactant) and the hospital will WAIT for the payment BEFORE they give your baby the medication. My baby was forced to wait as she was not in a private hospital and my international health insurance failed us but that’s another story. If you have international health insurance you may need to look at how premature your baby is as to where they will stay. The international hospital may not be the right choice not only medically but financially. 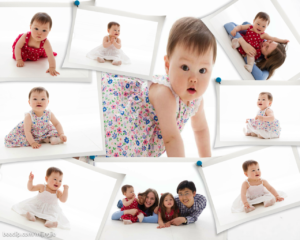 Your baby’s care for just the basics will come to around 30,000 RMB per day. A normal hospital’s care for a 28 week gestation baby without any major problems will be about 150,000 in total. You will need to get out the calculator and make a very difficult decision. International hospital NICU versus a local hospital NICU. My baby was in the local hospital for the first 6 weeks before we secured a transfer to the international hospital. In the Local hospital visits were twice a week for ten minutes each time. We were not allowed to touch her during visits. Visitors were not provided with hand sanitizing lotion. Old gowns and slippers were passed from one visitor to the next. We were told that sometimes they were so busy that babies had to share incubators although I didn’t see this when we visited. In the international hospital its a completely different world. You have 24 hour access. You can give kangaroo care (they even brought me the only rocking chair in the whole hospital for my sole use). They can store breast milk and help you with getting baby to breast. 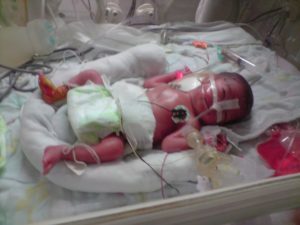 The international hospital couldn’t at the time perform eye tests on premature babies in their NICU. For those, we had to take the baby in an ambulance to Fudan Children’s hospital’s day clinic! At Shanghai United Family hospital it was doctors from Fudan who were with us on rotation 24 hours a day. Was baby transferred to the hospital that doesn’t support breast milk? It is possible to make a special arrangement with the hospital; however, for us this meant delivering fresh milk every three hours including throughout the night. Somehow we managed and our baby’s health improved significantly as soon as the breast milk started (we plotted her weight on a graph). Fudan can store breast milk properly (2011) so you wouldn’t need to drop off every three hours. I also heard that in Fudan special additional visiting arrangements could be discussed. In 2011, China didn’t have fortifier. This is a powder that is prescription only and is added to breast milk before feeding the baby. Breast milk alone may not be enough for a premature baby. We weren’t allowed to give breast milk until we got access to some fortifier. Knowing that it’s prescription only, buying it from an online unregulated pharmacy was not something we were willing to risk. With the help of SOS we managed to get some out from the back door of a hospital in Hong Kong then had it couriered up to Shanghai. Later we found out that Fudan Children’s Hospital were trialing out fortifier (they actively support breast feeding) and could have found some through them. I was later also given the left over supply from an expat. If fortifier is still not readily available in China, you will need to brainstorm your contact list. Finally, what if you go into premature labour outside of a first tier city? Here you may find yourself with a nightmarishly difficult decision. Where is it safest for you to give birth and where is the best place for a premature baby? I started off in Suzhou and was there in hospital for 2 weeks before I was transferred by ambulance to Shanghai. I was dying and it was obvious the hospital wasn’t coping. My insurance company’s medical assessment labeled me as critical. In 2011, Suzhou only had ONE ambulance that can travel to Shanghai. Before I entered the ambulance I had been hemorrhaging everyday. I had to sign a form accepting that I may die on route as there were no blood transfusion facilities between Suzhou and Shanghai. I requested a needle be placed ready in my arm to save the doctors time on my arrival in Shanghai. I heard a story about a premature baby being flown to Shanghai with the doctor on board the flight manually pumping oxygen for the baby. That baby sadly didn’t make it because on arrival they found that the oxygen wasn’t pumped at a controlled enough pressure and speed for too long (only possible by machine). Know your local hospitals and be aware of your other options. Not all hospitals have a helicopter pad. If you do need an emergency transfer don’t rely on your insurance company who promises they are arranging it for you. My insurance company lied. They said they were busy arranging my transfer but in actual fact had decided it was night time in China so they would wait until the morning! Once the hospital in Shanghai had finally been arranged, they also messed up my ambulance transfer (another story). I could have arranged it much faster myself. With the length of time I waited, it’s a miracle I made it to Shanghai on time. Reach out to the local expat community and LLL breast feeding group. If like me you are new to the city you find yourself in, reaching out to the local expat associations can find you help in unexpected places. I have so many people to thank. For example, we had offers of: chauffeur driven cars (especially of great help to my mum who came over); visitors who brought DVDs/books/magazines; visitors who brought fruit; visitors who brought home bakes and one lady who read to me; visitors who brought advice about local food delivery services (literally saved my life! ); a visitor who lived near the children’s hospital and offered me access to her home; and a visitor who gave doula support. From the LLL group, I met an amazing lady who gave me many items of baby essentials for which I am eternally grateful. These people and their visits gave me something to look forward to on days that seemed would never end. I wish you never have to experience a premature labour. But if you do, being prepared and knowing what your options are will significantly improve your experience, and help you make the best choices for your individual situation. Baby A now weighs 1760g and is almost off the CPAP. Given this progress, and for a number of reasons relating to choosing the best way forward for A at this time, I would like to arrange for her to be transferred to Shanghai United Family Hospital for the remainder of her NICU care once it is safe to do so. This will allow me to stay with her in the hospital. I have already been in touch with Shanghai United Family Hospital and understand that they can facilitate her transfer. I also wish to understand costs at SUFH taking into account those committed to date from the £75,000 in the Policy guide as I cannot afford to run over the policy limit. Please can you confirm pre-authorisation before anyone speaks to her doctors in Shanghai Children’s Hospital about this transfer (I would like to be the one who talks to her doctors in Shanghai Children’s Hospital as I don’t want to risk upsetting them). The actual date of transfer will depend on A’s progress but I hope it will be very soon. Thanks for the message. We are all very glad to know that A has been doing well in the past few weeks after going through many ups and downs. Your request of bringing her to the doctors at United Family Hospital is acknowledged and I do understand why you would propose to do so. In our cooperating with CHN hospitals, the history shows the fact that the local medical team is more experienced in handling critical cases e.g. A’s medical conditions. Seeking for the best medical care is always our priority as the core of serving our members. The children’s Hospital has proven that they are capable of taking care of A medically at current stage, however with different understanding towards the issues outside of medical area. Please do share your opinions again with me regarding above plan. Thank you for replying to my request to transfer A to Shanghai United Family Hospital. I want to make sure that you understand why I would like to transfer her since you seem to be suggesting that my reasons for doing so relate to non-medical matters or “issues outside of medical area”. All the research that my mother has done, and our communications with western medical colleagues (including one of the world’s leading experts) skilled and qualified in the care and development of premature babies, support the fact that there are clear and pressing medical reasons for my request. My father has also confirmed that this is standard practice in the UK with clear medical benefits for both the mother and baby. As you know, A and I have been though a very traumatic pregnancy and now my baby is having a very difficult start to life. At this critical time of her life she should still have another few weeks to go before being born. I am relieved that since starting to feed her breast milk with fortifier her weight gain has really improved and, with that, her breathing. Her improvement means that she is now eligible for Kangaroo Care. However, although the doctors in Shanghai Children’s Hospital know of Kangaroo Care, like breastfeeding it is not something that they are in a position to support since they don’t have the necessary facilities or training. As you know, we can only visit A for 10-20 minutes on Monday and Thursday afternoons. We have asked on 3-4 occasions about the possibility of greater access without success. There really are no facilities for breastfeeding mothers or ‘Kangaroo Care’ despite the fact that breast milk is known to be best-even for premature babies. 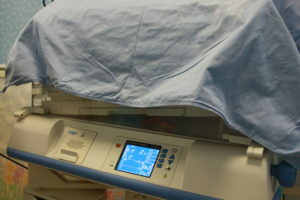 Even if I was allowed a cuddle I would be very worried about the risk of infection because the gowns we use every time we go are the same ones that are used by all the other visitors i.e. they are not washed between use. In fact hygiene concerns (such as no requirement of visitors to wash their hands before entering the unit) have worried me since my first visit to see her after which I cried myself to sleep and I will worry more once A goes into an open incubator. As far as Kangaroo Care is concerned, given the specialist skills and facilities that are required, it just would not be possible at Shanghai Children’s Hospital. They are not set up to support ‘Kangaroo Care’ while SUFH is. According to one of the world’s leading experts, physicians and nurses often know about the positive effects of Kangaroo Care on mother-baby attachments but despite the extensive scientific evidence base, they do not know about the positive effects of Kangaroo Care upon babies’ overall development-especially premature babies. There is very strong scientific support which shows that from a medical perspective Kangaroo Care has strong positive effects upon premature babies’ heart and breathing systems, their oxygen levels and their ability to maintain their temperature. Kangaroo Care also results in lower risks of infection-still one of A’s doctors’ concerns, an improved quality of sleep (which assists brain development) and less pain during medical procedures. The evidence is such that Kangaroo Care is now recommended as an intervention to encourage earlier and better cognitive and motor development to reduce the likelihood of any developmental delay and, therefore, all the problems that such delay can bring throughout a person’s life. Such non-invasive treatment also contributes significantly to lessening the negative effects of the kind of traumatic experience that we have both suffered. As you know, I want to breastfeed and Kangaroo Care significantly increases my chance of successfully establishing breast feeding as well as increasing the amount of milk that I produce. Scientific studies have consistently shown very strong evidence that Kangaroo Care should be used as a treatment in each of these areas. I would be happy for you to contact Shanghai United Family Hospital for further information. However, due to the lack of facilities and training, Kangaroo Care and, therefore, best medical care for A going forward, will not be possible at Shanghai Children’s Hospital. If you wanted to contact Shanghai Children’s Hospital I would want to know what you were hoping to achieve for me since from a medical point of view it is more than my greater access that A needs. Given that time is moving on I wish to resolve this as a matter of great urgency otherwise the opportunity will be missed to the potential huge detriment to my daughter’s development as a human being. I cannot afford delay, there has been too much in the past around issues whose earlier resolution would have been very beneficial. Dear Ms. Wai – How to Meet Asians Outside Asia?